Paige St. Claire is a survivor. After battling breast cancer and suffering through a painful divorce, she is working on rebuilding a simple, uncomplicated life. Quite by accident, she stumbles across a link to her past that will forever change her future—the M.I.A./P.O.W. bracelet she wore as a teenager. Paige wonders if the soldier ever made it home. Dalton McNamara did return from Vietnam after spending time as a prisoner of war in Hanoi. He now lives in Newport Beach—near Paige's best friend, Louisa. When Paige goes to California to help her friend through surgery, she visits the returned soldier. After an awkward beginning, Paige soon realizes that Dalton is an amazing man. And even though this widower and single father has many female admirers in the local LDS community, Dalton recognizes that there has been no one he has connected with—until Paige. As their friendship grows into love, can they overcome their emotional and physical scars of the past and face whatever the future may hold? 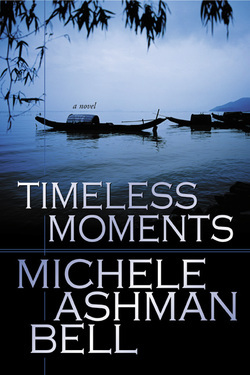 From best-selling author Michele Ashman Bell, Timeless Moments is an unforgettable story, glimmering with hope and healing.